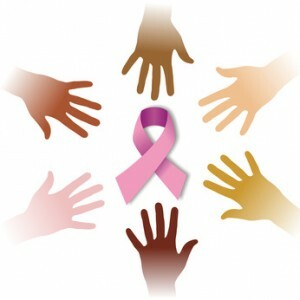 Home » About » Blog » Why is it Important for Breast Cancer Patients to Understand Their Disease? A new diagnosis of breast cancer brings with it a set of important decisions about type of treatment and long term prognosis that every breast cancer patient and her providers must address. These decisions are largely based on the characteristics of the tumor itself, including its stage, grade, hormone receptor status and HER2 status, all of which are included in the report generated by the pathologist examining the tumor. In order to make informed decisions about treatment options, it is important for women to know and understand these characteristics of their breast cancer. However a recent survey conducted among breast cancer patients in northern California found that a large proportion of women with breast cancer did not know, or had incorrect information about their cancer characteristics. Knowledge about their breast cancer was poor for all women, but was particularly poor for minority (African American and Hispanic) women. There are many reasons why women may lack specific information about their breast cancer. A new diagnosis of cancer represents a personal crisis that generates information which can be overwhelming and emotionally demanding. Many women feel a sense of urgency to make decisions rapidly with little time for information gathering or deliberation. The description of tumor characteristics are couched in medical terminology which is foreign to most people. Providers may lack the time or the training to convey this information to their patients in an effective manner. As we move into an era of personalized cancer care, where treatment decisions are increasingly tailored to the individual’s cancer characteristics, it is important to find novel and culturally sensitive educational tools to help breast cancer patients be knowledgeable and actively engaged in their care at every level.